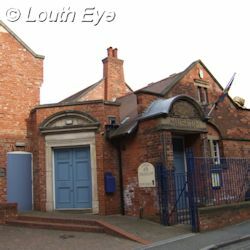 On September 10th I posted my top list of Louth's least attractive sights, and it wouldn't be fair to do that without celebrating the opposite, so here it is. Places like Hubbard's Hills, Westgate Fields and St James' Church are almost too obvious to mention, but there are less well known beauty spots that deserve recognition. I mentioned the Aswell Street end of the Gatherums as a grot spot, but it's a different story on the eastern side, where there are community food gardens maintained by and for members of the public. 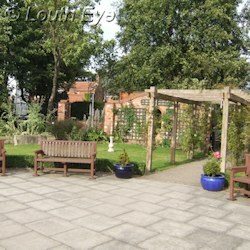 Pictured on the left is the view from the bench, looking over the herb garden towards the central seating area. 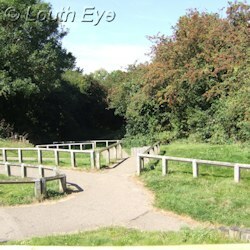 Because this park is open to the public when the pubs shut there are always some gits who leave litter and graffiti. However I have nothing but praise for the people from ELDC who clear it up: I've seen the park covered in heaps of takeaway refuse at night, and then by 7am the next morning it's as though nothing was ever amiss. Thanks to them, the Springside and Gatherums Regeneration group and Louth Community Food Gardens, it's a very pleasant place to spend a sunny afternoon. 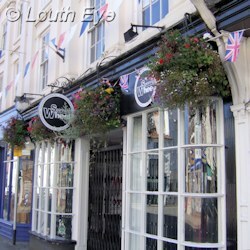 I've only pictured Spinning Wheel, one of the winners of the 2012 Lovely Louth competition, but all of the winners and runners-up deserve credit for their hard work. I've already mentioned Louth Community Food Gardens with regard to their work in Springside, but thanks to them there are vegetable boxes popping up all over town. There are a few on undeveloped land in Church Street, some next to the tennis courts in Charles Street, more behind KEVIS, and even one in Spout Yard. Although the emphasis of this scheme is teaching people how to grow their own food, I also think the boxes brighten up the town, especially when they appear on land that would otherwise be disused. 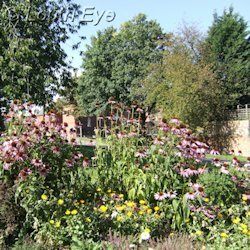 Kate Levey is another person who has used her initiative to improve the town's appearance. Her photographic display in a vacant shop in Mercer Row isn't the first one she has set up, there was another in the shop that would later become Boneshakers, also on Mercer Row. Spout Yard Park, situated near Broadbank, on Enginegate, is in a central location but it's quite tucked away. Since it's closed at night it suffers less vandalism than other public spaces. 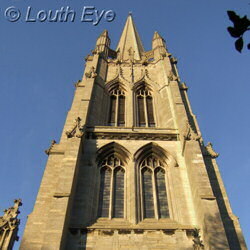 David Hall is one of the trustees, so I'm a bit biased in this, but I think it's one of the town's hidden gems. 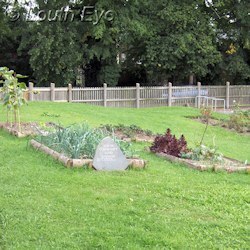 It has a kiosk, seating, play equipment and a small stage as well as attractive gardens. I wanted to include the Louth Canal in this list, but some parts of it are in quite a bad state of upkeep with regard to litter and overgrowth, such as the viewing area at Riverhead. The really pleasant part doesn't start until you get out of the town to Alvingham, where the grass walkways are regularly trimmed and there are good signposts and other goodies. Shucksmith's wood is beside the canal at Alvingham, opposite the two churches and hidden in a copse. 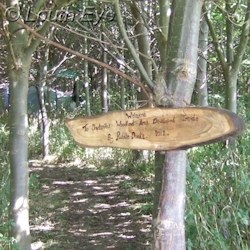 The Puddle Ducks Playgroup have done a great job in creating this play and activity area for children to explore. 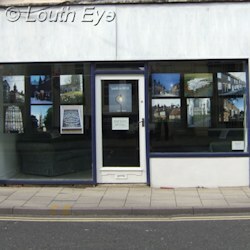 It's a relatively small building, but I like the Louth Museum. From the snail on the roof to the in-keeping architecture of the extension, it's a pleasant building inside and out. 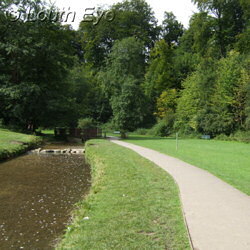 I also like the Railway Walk, which is good for a ramble in the shade of the trees. 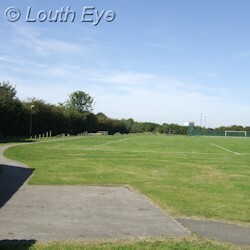 The playing fields beside them on Wood Lane have play equipment and they're usually clean and well-maintained. 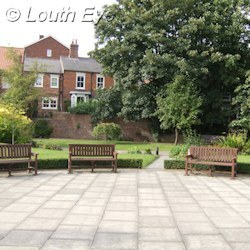 There are no doubt places I've forgotten to mention, and any list like this is bound to be subjective and incomplete, but that's my run-down of the highlights of Louth in 2012. What would you add?